We are here when you need to plan your Lab! Laboratory facilities have a very different and peculiar working environment. New discoveries, developments and inventions take place here. The outcome is a ‘creation’ which eventually benefits mankind. The background of this creativity is huge knowledge base, persistence and the ability to work in an unknown and sometimes in unsafe environment too. Given this scenario, imagine the situation where the surroundings are drab, shabby, un-organized and demotivating. It is quite often assumed that these work places are pure functional places and the people too are expected to work like machines. But has anyone realized that like machines/ equipment’s humans too require specific room or comfort conditions to perform. They too require sufficient light intensity and space where they can work without any operational fear. The environment has to be conducive for research activity. Laboratories share lot of functional similarities with a kitchen. Things have to be in the right place, with proper & easy accessibility and safe to use. 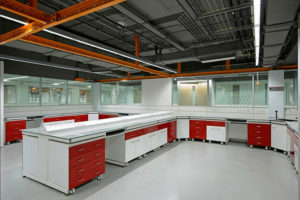 It has to be understood that lab spaces are dynamic and hence they should not be planned for exclusive purpose or with permanent outline or research activity. The design of a laboratory is an outcome based on four major challenges: flexibility, safety, quality of environment and cost efficiency. Having said so, who else than an architect, can understand these functional aspects and design it in a manner that they blend with engineering concepts. 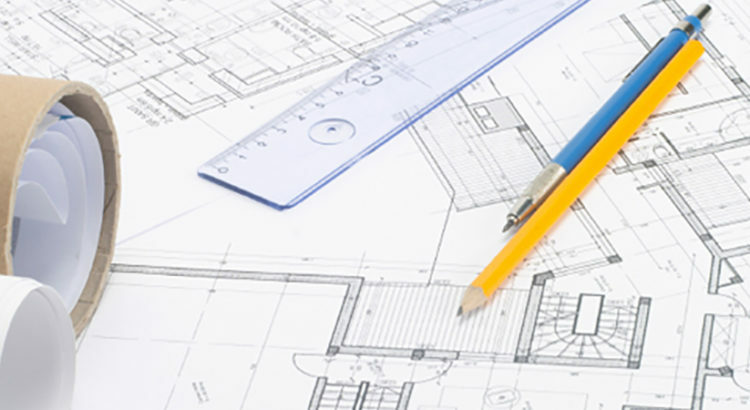 Architects are associated with aesthetics and creativity. Adding colour in right proportion to different types of spaces makes the environment vibrant and happening. Multiple materials, vibrant colours and forms, add visual interest and encourage conversations. Placing artwork at specific locations doubles as a communication tool. Compartmentalization that allows for visual communication enhances lab space and volume. Flexibility to accommodate future requirements comes with modularity and standardization. If you have read this, then you know whom to approach, to design your lab. I was really impressed with your sound laboratory process knowledge, regulatory and safety understanding, capacity calculations, all these knowledge will definitely reflect in the lab design. Of Course I know whom to approach, wish you all the best! Reading through this article actually made me to travel time down my memory lanes of 2015. The article is so you Archana 🙂 The passion for lab design & get the right details is what I can see in the article and your working style as well. Thankfully our great industries are accepting these line thoughts & working around it as well. So keep up the passion & get going. Best wishes. Nicely described. Labs are our second homes… We spend more time than our first homes at times. These designs would be a motivational factor for the team to work in labs. Fresh working place/Safe Environment/Easy movements in lab are very much required and this would be possible only if labs are designed in this way. Great work!! Keep it up and best wishes. Congrats Archana, for making such a fabulous blog and presenting your capabilities nicely. Nice article Archana. I agree with the idea of having a kind of safe, easy access.. motivating comfortable and very interaction facilitating type of lab. There is growing need for such places. There are lot of MNCs putting up R & D centres here and this concept is very nice. Keep it up!! True. Arena had designed a very functional and aesthetic labs covering all guidelines. SHE is her biggest strength, her greatest identity! Seeking testimonials from clients is the norm irrespective of the industry. Arun on We are here when you need to plan your Lab! Kumud Kushwaha on We are here when you need to plan your Lab! Sunita Hegde on We are here when you need to plan your Lab! Neel Desai on SHE is her biggest strength, her greatest identity! Neel Desai on We are here when you need to plan your Lab!